I was recently made aware that the video of Phil Johnson's message "Sound Doctrine; Sound Words" has been made available on YouTube. I am very much in agreement with most of what Phil has to say, even if some of it is critical of Mark Driscoll. He only mentions Mark by name a couple of times. However, he also refers to Seattle at least a couple of times, and he remarks that the Apostle Paul could never have been known as "the cussing Apostle." These appear to be allusions either to Mark or his ministry in Seattle. If you would like to learn more about the history of Phil Johnson and Mark Driscoll on the issue of what makes for appropriate language in the pulpit, I think that Jonathan Christman has done a good job of kindly and fairly tracking it at his blog. (Thanks to Bob Gonzales for letting us know about these articles on the Reformed Baptist Discussion List.) The reason I am glad that Jonathan is tracking this from both points of view is that I think it has become a very important matter to the Church in America. I just happen to lean strongly toward Phil Johnson's end of the spectrum, and I think after you all view this video you will see why. I agree with Mark that sometimes strong language and sarcasm are appropriate, especially when dealing with false teachers, but I couldn't agree more with Phil that language that is considered vulgar or is filled with sexual innuendo is out of place for the Christian, especially for the pastor-teacher from the pulpit. 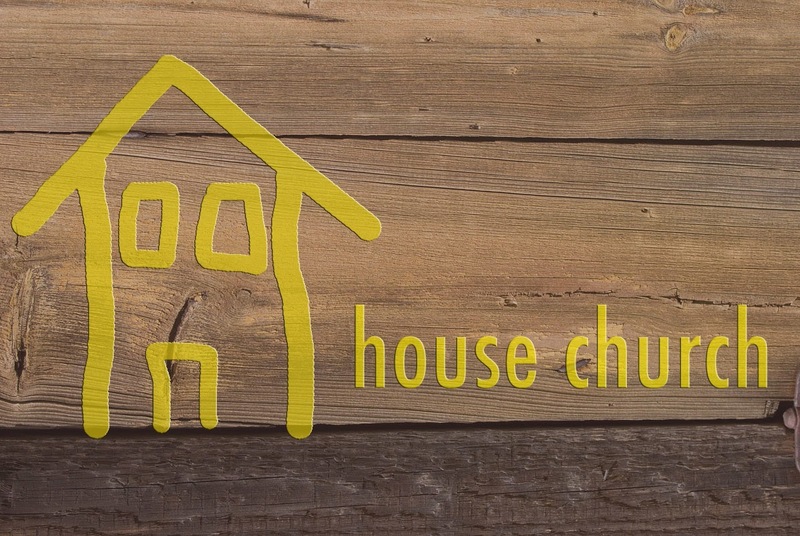 Part One: Does the Bible require that churches meet strictly in houses rather than in other kinds of buildings? Part two: Does the Bible require that church gatherings be “completely open and participatory with no one leading”? Part Three: Does the Bible require that the Lord's Supper be celebrated only as part of a “full meal”? Part Four: What kind of authority – if any – do elders have in the churches? Part Five: What is the meaning of ekklēsía? Part Six: What is the proper understanding of Hebrews 13:17? Although these six articles do discuss many of the major problems to be found in the House-Church Movement, I think it will be helpful to conclude the series by providing a summary of some of the primary concerns with what the HCM advocates are saying and of some of the possible ramifications. I will list briefly a number of points by way of both positive and negative critique. NKJ 1 Corinthians 12:4-22 “There are diversities of gifts, but the same Spirit. 5 There are differences of ministries, but the same Lord. 6 And there are diversities of activities, but it is the same God who works all in all. 7 But the manifestation of the Spirit is given to each one for the profit of all: 8 for to one is given the word of wisdom through the Spirit, to another the word of knowledge through the same Spirit, 9 to another faith by the same Spirit, to another gifts of healings by the same Spirit, 10 to another the working of miracles, to another prophecy, to another discerning of spirits, to another different kinds of tongues, to another the interpretation of tongues. 11 But one and the same Spirit works all these things, distributing to each one individually as He wills. 12 For as the body is one and has many members, but all the members of that one body, being many, are one body, so also is Christ. 13 For by one Spirit we were all baptized into one body-- whether Jews or Greeks, whether slaves or free-- and have all been made to drink into one Spirit. 14 For in fact the body is not one member but many. 15 If the foot should say, "Because I am not a hand, I am not of the body," is it therefore not of the body? 16 And if the ear should say, "Because I am not an eye, I am not of the body," is it therefore not of the body? 17 If the whole body were an eye, where would be the hearing? If the whole were hearing, where would be the smelling? 18 But now God has set the members, each one of them, in the body just as He pleased. 19 And if they were all one member, where would the body be? 20 But now indeed there are many members, yet one body. 21 And the eye cannot say to the hand, "I have no need of you"; nor again the head to the feet, "I have no need of you." 22 No, much rather, those members of the body which seem to be weaker are necessary. Second, the emphasis upon building relationships that are necessary to fulfill the Bible's commands regarding our responsibilities to one another is much appreciated. The Bible teaches, for example, that we must love one another (John 13:34), admonish one another (Rom. 15:4), bear one another's burden's (Gal. 6:2), and “consider one another in order to stir up love and good works” (Heb. 10:24). All such commands require that we actually know one another well, and HCM advocates are right to try to foster an atmosphere in which this may be more easily facilitated. This is especially important given that we live in a society that relies more heavily every day on technologies such as phones, email, and internet chat, all of which serve a good purpose but also tend to depersonalize interaction. Third, the reminder that there is a future focus to the Lord' Supper is also appreciated. In my experience, far too many churches seem to miss this altogether. Yet, along with reverently remembering the sacrifice Jesus made for us on the cross (Luke 22:19), this is a legitimate and important focus of the Lord's Supper. For example, when He instituted the Lord's Supper, Jesus said, “For this is My blood of the new covenant, which is shed for many for the remission of sins. But I say to you, I will not drink of this fruit of the vine from now on until that day when I drink it new with you in My Father's kingdom” (Matt. 26:28-29, see also Luke 22:16-17). And Paul reminds us that when we partake of the Lord's Supper, we “proclaim the Lord's death till He comes” (1 Cor. 11:26). Fourth, I also appreciate the warning by many HCM advocates about the danger of identifying the church with a building rather than with the body of Christ. This is another way in which people may too easily miss the Biblical emphasis upon relationships rather than events that happen at a building. The Bible clearly teaches, however, that the Church is the true temple of the Holy Spirit (1 Cor. 3:16-17; Eph. 2:19-22) and that the Church is a family, a “household of faith” (Gal. 6:10). HCM advocates are right to point out the danger of too much emphasis upon a physical building, especially when the building tends to become more important to some than the people who use it. Sadly, it is disturbing to me that the negatives outweigh the positives with regard to the House-Church Movement, at least as I see it. In each of these cases – as I believe my responses in this series have demonstrated – HCM advocates are making these matters requirements when the Bible does not do so. But doesn't this actually lead to the subversion of Biblical authority? Doesn't it make the HCM advocates themselves out to be the real authority? Now, I will be quick to point out that I do not think this is an intentional thing on their part. I don't think for a second, for example, that Steve Atkerson would ever intentionally undermine Scriptural authority. But the fact remains that this is what happens when anyone tries to say that his own practices have the same authority as Scripture when, in fact, Scripture itself does not command them. Second, I am also concerned about the danger of legalism, which follows from my previous point. For the very heart of legalism is to demand of people what God does not demand and to judge their spirituality – or perceived lack thereof – on the basis of such supposed requirements. NKJ Mark 7:6-7 “6 He answered and said to them, 'Well did Isaiah prophesy of you hypocrites, as it is written: “This people honors Me with their lips, but their heart is far from Me. 7 And in vain they worship Me, teaching as doctrines the commandments of men.”'"
Fourth, I am concerned about an apparent lack of respect for Biblically constituted authority in the churches. I have highlighted and addressed this issue in Part Four, Part Five, and Part Six of this series. There is a simultaneous minimizing of the role and authority of elders in the churches while emphasizing the role of the congregation. While I appreciate their renewed stress on the importance of every member of the body being involved in ministry, I fear that there is not a due appreciation for the Biblical teaching of the necessity of godly elder leadership in the churches. I also sense some hypocrisy here. HCM advocates often claim that the rest of us have been too influenced by pagan culture in our practices, yet they apparently fail to consider that their own lack of respect for authority (and church history) just happens to coincide very nicely with current cultural influences. This indicates a big blind spot in HCM advocates, for they seem quite willing to see most Christians – at least over the past 1700 years or so – as blind to cultural influences in their interpretation and application of Scripture, while they do not seem to recognize the likelihood that it is they who have been so blinded. It is particularly striking to me that they are even so critical in this regard of Christians since the Reformation. I mean, doesn't it seem to be at least possible – if not probable – that it is they, and not virtually all Evangelical Christians for the past 500 years, who have gotten it wrong? I have attempted to summarize here some of the best and worst aspects of the portion of the House-Church Movement to which I have been responding. I hope that this series has been helpful to the blog's readers. For those who are interested, I would also remind you that there is an interview available, in which I have discussed a few of these issues with Roderick Edwards. In this interview I point out what I would like to end with here. I understand that these HCM advocates are attempting to hold us accountable to Scripture in their challenges to so many of our practices, and I actually appreciate their efforts to some extent. In response, I want to stress that it is my desire to return the favor. I hope in the process that I have spoken the truth as I see it with love (Eph. 4:15). Although I have had to adopt a confrontational tone at times, I want to assure my readers that my intentions – insofar as I am aware of them before the Lord – have only been to help my brethren in the House-Church Movement and in the larger body of Christ. I am gratified that many have indicated to me that this series has indeed been helpful to them and has even helped a few churches to overcome or head off a great deal of strife over these matters. But, whether in agreement or disagreement with my views, as always, I welcome your comments. P.S. I have noticed that the titles of a few of the articles I have cited in this series were changed between the earlier posts and this conclusion. However, I have done my best to check the sources and believe that the titles and citations here are accurate. When I have time, I may try to go back and edit the previous articles to reflect these changes. I assume the links will still work correctly, but I haven't yet been able to go back and see if the articles themselves have been changed since I first cited them. This can be one of the more frustrating things about responding to blogs and online articles. Also, both Steve Atkerson and Beresford Job have published books since I wrote much of this series, but I think the content here – taken from their online sources – is still an accurate assessment of their respective positions. I have now posted a followup article indicating some of the differences between the original articles I cited in this series and the present articles posted at the NTRF website. So far I have not seen anything that would lead me to change anything I have stated in this critique. NKJ Mat 3:7-12 But when he saw many of the Pharisees and Sadducees coming to his baptism, he said to them, 'Brood of vipers! Who warned you to flee from the wrath to come? 8 Therefore bear fruits worthy of repentance, 9 and do not think to say to yourselves,"We have Abraham as our father." For I say to you that God is able to raise up children to Abraham from these stones. 10 And even now the ax is laid to the root of the trees. Therefore every tree which does not bear good fruit is cut down and thrown into the fire. 11 I indeed baptize you with water unto repentance, but He who is coming after me is mightier than I, whose sandals I am not worthy to carry. He will baptize you with the Holy Spirit and fire. 12 His winnowing fan is in His hand, and He will thoroughly clean out His threshing floor, and gather His wheat into the barn; but He will burn up the chaff with unquenchable fire. NKJ Matthew 7:17-21 Even so, every good tree bears good fruit, but a bad tree bears bad fruit. 18 A good tree cannot bear bad fruit, nor can a bad tree bear good fruit. 19 Every tree that does not bear good fruit is cut down and thrown into the fire. 20 Therefore by their fruits you will know them. 21 Not everyone who says to Me, "Lord, Lord," shall enter the kingdom of heaven, but he who does the will of My Father in heaven. NKJ John 15:8 By this My Father is glorified, that you bear much fruit; so you will be My disciples. NKJ 2 Peter 1:5-9 But also for this very reason, giving all diligence, add to your faith virtue, to virtue knowledge, 6 to knowledge self-control, to self-control perseverance, to perseverance godliness, 7 to godliness brotherly kindness, and to brotherly kindness love. 8 For if these things are yours and abound, you will be neither barren nor unfruitful in the knowledge of our Lord Jesus Christ. 9 For he who lacks these things is shortsighted, even to blindness, and has forgotten that he was cleansed from his old sins. Have you gotten just far enough away from your salvation experience and from a close walk with Christ that you have forgotten what it means to have been cleansed from your former sins? If so, then the answer for you is the same as it is for the false believer. You need the Gospel! You need to remember that we can only be saved by grace through faith in Christ alone, through His sinless life, His atoning death on the cross, and His resurrection from the dead. Ask the Lord to open your eyes that you may see and to renew faith and repentance in your heart. I am confident that he will answer! But if you have never truly believed in Christ, but perhaps have learned to say all the right things and to make yourself appear to others as though you are a Christian, when you know you are not, then you need to recognize the precarious position that you are in. And you need to throw yourself upon the grace of God as well, asking Him to give you genuine faith and repentance for the first time. For only He can save you! NKJ Ephesians 2:8-10 For by grace you have been saved through faith, and that not of yourselves; it is the gift of God, not of works, lest anyone should boast. For we are His workmanship, created in Christ Jesus for good works, which God prepared beforehand that we should walk in them. The Bible teaches that "all have sinned and fall short of the glory of God" and that "the wages of sin is death, but the gift of God is eternal life in Christ Jesus our Lord" (Romans 3:23; 6:23). When it speaks of the "wages of sin," it is speaking of what we deserve for having done wrong in the sight of God, but it also teaches us about the "gift" of eternal life which we do not deserve. Thus God offers us freely through Jesus that which we cannot earn. He offers to do for us in Christ that which we cannot do for ourselves. Will you put your faith in Jesus to save you from the punishment your sins deserve? He is willing to forgive you and give you eternal life if you ask Him. "If you confess with your mouth the Lord Jesus and believe in your heart that God has raised Him from the dead, you will be saved. For with the heart one believes unto righteousness, and with the mouth confession is made unto salvation" (Romans 10:9-10). If you want to know more about the Gospel, or you would like some counsel from God's Word, please leave a comment with your email address, and I will contact you. 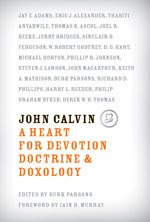 Reformation Trust Publishing is making available a free copy of the book Calvin: A Heart for Devotion, Doctrine, and Doxology. They are charging $5.00 for shipping and handling, but this book is a steal at that price! "First of all, the people of God should be wholeheartedly engaged, first and foremost, in the daily study of God's Word. Second, as God's people study God's Word in depth they will quickly understand the necessity of interpreting Scripture with Scripture, and that is precisely what Calvin helps us to do -- to the end that we might know and proclaim the whole counsel of God. Third, John Calvin was not an ivory-tower theologian who was out of touch with the real-life struggles of God's people. Not only did he struggle himself, but he knew well the plight of his people in his congregation. He could empathize with their afflictions and so shepherded them in preaching, praying, writing, and counseling. Calvin was, first and foremost, a pastor of God's people." A small shipping and handling charge of $5.00 will be included. Please allow 4-6 weeks for delivery. Disclaimer: This offer is limited to full-time pastors and church leadership. One copy per church. I jumped at this opportunity, especially since I am reading through Calvin's Institutes of the Christian Religion this year. As always, I am happy to inform the blog's readers of any such opportunities I find. If you have thought about purchasing the ESV Study Bible, but are not sure you want to spend the money without first giving it a thorough examination, then you will definitely want to take advantage of the free online access that Crossway is allowing for the month of March. Normally this feature is available only to those who have purchased a copy of the ESV Study Bible, so be sure to check it out now while it lasts. You can also access all the Articles and Charts & Maps. I think you will be impressed!